Men and women are very different. 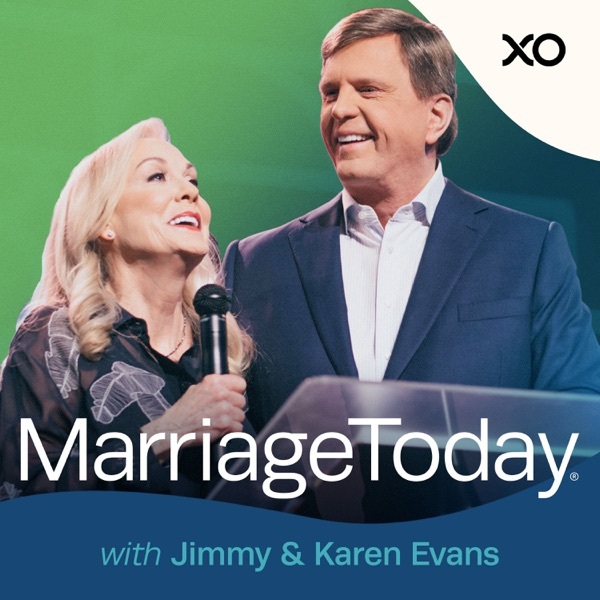 Jimmy and Karen discuss their differences and how they've learned to appreciate and respect the different strengths of each other in their marriage. Jimmy and Karen discuss the real reasons couples marry and the reasons they divorce. Every marriage will face challenges, but you can have the right response when this happens. Marriage can be a win-win relationship for you and your spouse. Have you and your spouse ever felt like you're growing apart? Even if your interests are very different, you can rediscover the friendship and closeness you experienced at the beginning. We've all heard couples say phrases like, "We're in love" or "We're out of love." Even if your love has faded, it is possible to have a marriage that is secure, satisfying and passionate. Many couples have contentious topics that they can't discuss or resolve. Peace is the missing element in most marriages because couples don’t proactively talk and agree on the essential issues. When you learn the steps to peace, it will revolutionize your relationship. Jimmy Evans discusses how to love your spouse and invest in your marriage. Adam and Eve's future depended upon sowing and reaping. The same principles still apply to every couple today. Our thinking directly influences how we relate to everyone in our lives. We naturally resist the wisdom of scripture especially when it comes to relationships. Jimmy Evans discusses three critical reasons why we resist change and how to overcome. When dating, people usually choose their opposite. For many couples, their differences can become a source of frustration and conflict. When you learn that your differences actually supply what you're lacking, marriage becomes a healing journey. Money can be one of the greatest areas of tension in marriage. When we understand each other's financial perspective, we can manage money together so that it's a huge blessing to our relationship. In marriage, we must be careful that work and children don't become a bigger priority than our relationship. We always prove priorities not by what we say, but how we live. Why do we choose the spouse that we choose? What are we looking for in regards to marriage? In this powerful video, Jimmy Evans shares how marriage can become a healing journey. In marriage it's inevitable that we will hurt and frustrate each other. It's easy to react with negative behavior when your spouse wrongs you. But positive behavior can turn any bad situation around. Intimacy is much more than physical, it's emotional and spiritual. When you accept your differences and complement each other, you'll discover the deepest intimacy you've ever known. Forgiving someone who has hurt you can be very difficult. The reality is unforgiveness affects every relationship in your life. Jimmy Evans shares the steps to forgiving others and why it's so important. Have you ever been jealous of someone's wealth, power or good looks? Today Jimmy Evans discusses why we compare ourselves with others and the steps we can take to overcome comparison in our lives. Whatever we do in life, there is always a risk. But we have a choice, will we live by fear or by faith? Today you can discover how to overcome fear and walk in freedom. It's human nature to sometimes feel discouraged and overwhelmed. Even though all of us will be discouraged from time to time, how you respond when you are down is always a choice. Whether it's positive or negative, you are leaving a legacy for future generations. What will your legacy be? God wants to give you a dream to do something great to connect you with other dreamers. God has a dream for every person that will bring fulfillment and joy. But there is usually a delay before your dream will happen. Discover how you can be confident that God's plan will be fulfilled. After a period of time, most couples put their relationship on autopilot. The reality is, marriage only works when we are highly focused on our spouse and fulfill our role in the relationship.